Brick Safari features more than 40 life-size animal sculptures created from millions of individual colored LEGO® bricks! The menagerie of animals will be located along a winding, wooded pathway on the east side of the park, and many of the sculptures are based on some Brookfield Zoo favorites, such as the lion, giraffe, snow leopard, and pangolin. On your Brick Safair tour, you can also encounter some animals you don't normally see at Brookfield Zoo, including an elephant holding its trunk high and a giant panda with its playful cubs. In addition to fascinating kids, those young at heart, and Adult Fans of LEGO® (AFOL), the interactive exhibit will appeal to both science and art lovers, who will have the opportunity to tap into their creative sides. Colorful graphics featuring interesting facts and even a poem about each animal are displayed next to the sculptures. To commemorate your visit to Brick Safari, you can take a selfie in the Safari Jeep or behind the life-size photo frame, both created from LEGO® bricks. A gift shop near the exit of exhibit will have a variety of brick-themed items available for purchase. Open during zoo hours, admission to Brick Safari is $5.00 for adults and $3.00 for children ages 3-11 and seniors 65 and over. Children 2 and under are admitted free. 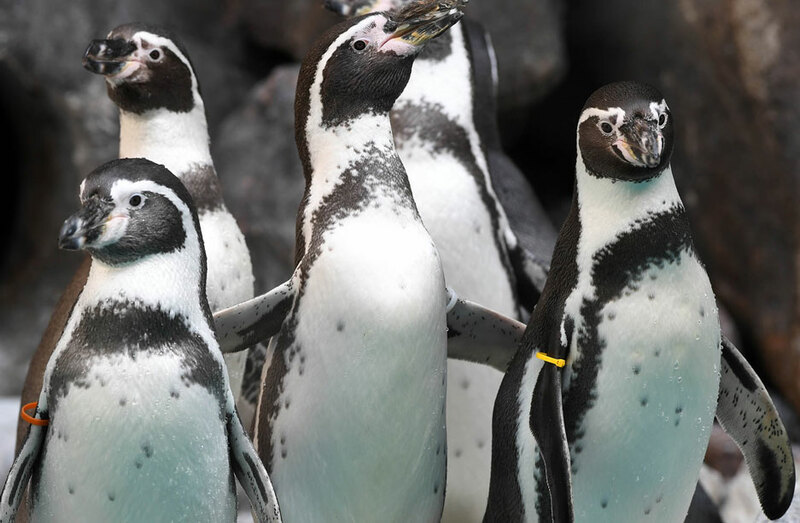 Brookfield Zoo members receive 1/2 off admission price.